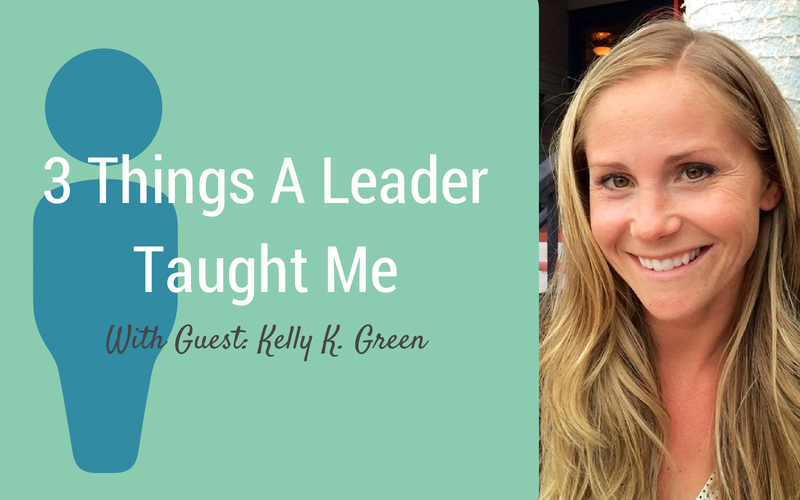 Today is the first guest post in the series 3 Things A Leader Taught Me where friends talk about leaders who have made a positive impact on their story and leadership Each friend will describe 3 things that they’ve learned and how those things are working out for them. Our first voice is Kelly K. Green. 1. Embrace tension– The last time Matthew and I met together, he listened as I lamented all the different ways in which I was trying to move forward and encountering resistance. He listened well but then simply said, “Your life will always be lived in tension. Get used to it.” Because I know he also lives in these places himself, this was actually quite comforting. We don’t always have to try to fix everything or provide a solution. Sometimes the best thing we can do is normalize discomfort. 2. Execute from strength – While working to improve our weaknesses has it’s place, being part of a team means playing your part well and leaning into your strengths. You are in that role for a reason. In order to maintain a healthy, long-serving, fired-up leader, it’s vital to engage in the life-giving work that put you in that position in the first place. This also means being able to give up control, which leads to the next thing I leafed. 3. Empower others – if you are trying to do everything, it doesn’t give opportunity for others to step up and take ownership. Any organization that is solely dependent on one individual cannot thrive in the long run. It’s unsustainable. This is the beauty of walking alongside people instead of above. It gives space to work on our strengths together and build from a place where we all are well aware of the value each of us bring to the table. While I’ve been empowered to realize my role in fighting for others, I’m working to do the same for those on my team. I’m learning to delegate instead of taking on everything myself. Recently, I gave one of our biggest projects to someone else and resisted the urge to be in charge. I’m there to provide support and help in ways that I can, but she has taken ownership. She’s working hard and has taken the initiative to attend trainings that equip her to do it well. She’s put herself out there and has made connections that will help us explore new directions. I’m confident in her abilities and also thankful for how it frees me to more fully pursue the areas that bring me life. I’m learning that leading well looks a whole lot more like interdependence than independence.